Founder and executive director of the Jeneba Project, an organization dedicated to the reconstruction of the Mano River Union countries through targeted educational projects, Joseph has stayed true to his self-imposed duty to promote human rights in Sierra Leone. Developed while Joseph was studying at Skidmore College in New York, the Jeneba Project has provided hundreds of scholarships to girls, donated scholastic supplies and built a library and high school in Masoila, Sierra Leone. 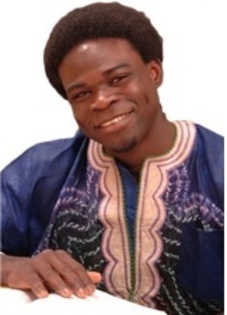 Joseph founded the Jeneba Project in an effort to continue the work of Save the Future Generation (SAFUGE), a student organization he created at United Word College to address the needs of the countless men, women and children who had suffered barbaric amputations during the war in his home country. Determined to do everything possible to ameliorate the suffering of these amputees, Joseph developed the organization to provide school materials, scholarships, clothing and medical assistance to vulnerable people living in the amputee camp in Freetown and to Liberian refugees living in the Southeast of Sierra Leone. In addition to completing the Humanity in Action Fellowship in Denmark in 2007, Joseph has served as a Lantos-HIA Congressional Fellow in Washington, DC, a Davis United World College Fellow at the James Martin Center for Nonproliferation Studies and an intern at the Child and Adolescent Development department of the World Health Organization (WHO) in Geneva. He is greatly interested in African education and development, and believes that educational opportunities for African children is not only fundamental for progress across the continent, but is perfectly attainable. In addition to continuing to advocate for African education, Joseph dreams of working for the United Nations High Commission or an African court of human rights. After obtaining his degree in International Law from Vermont Law School, Joseph hopes to contribute to the creation of policies and international legal instruments that could guarantee fundamental human rights across Africa. Joseph’s belief in the importance of learning from past atrocities serves as the foundation for the Memory Project, which collects and preserves oral testimonies from survivors and perpetuators of the violent civil war in Sierra Leone. “In an interdependent world, no catastrophe is local,” stresses Joseph. “Our aim is to offer an opportunity to learn from the history of Sierra Leone and undertake the moral responsibility to prevent such crisis in the future.” Joseph hopes that the Memory Project, sponsored by Humanity in Action, will help advocate against the use of child soldiers everywhere, and to provide opportunities for Sierra Leoneans to share their experiences from the conflict. "In an interdependent world, no catastrophe is local. "